Note: Enter credentials in the form 'username@uregina.ca'. Staff: This must be your username, not your First.Last email alias. 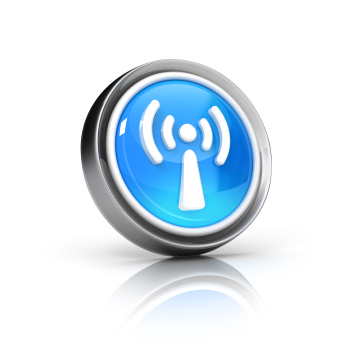 The wireless network at the UofR provides network access to laptops or other machines with a 802.11a/g/n/ac compatible wireless card. See here for a list of recommended cards. The addition of wireless access is designed to provide easier access to students with laptops or faculty/staff away from their home office. Users who have access to a wired network drop should almost certainly use it, as it provides reliable dedicated 100Mbit/sec access to the network as compared to the bandwidth limited wireless connection. In addition the wireless signals for the legacy uofrPSK SSID can be snooped and decrypted by technical savvy users of our wireless network. See the security section below for more information. eduroam: This is the preferred wireless network for students and staff, and uses strong WPA2-AES Enterprise encryption. SaskTel Select Wi-Fi 1: These networks are automatically configured on the majority of SaskTel wireless devices and offers wireless access to SaskTel customers. As this SSID provides high bandwidth internet access via a dedicated link to SaskTel, it is recommended that this SSID be used instead of eduroam on SaskTel phones that are capable. Uses WPA2-AES encryption and a unique hardware identifier in the phone for authentication. For more information see the SaskTel Support page for Using SaskTel Select WiFi. uofrPSK: Intended only for devices that are incompatible with eduroam (ie. Xbox, PlayStation, Wii). It uses WPA2-Personal (WPA2-PSK) with AES encryption and a pre-shared passphrase. Devices on this network must be registered by their hardware address (MAC address) before they are able to connect. Note: Only available in residences. If you have problems please check the wireless FAQ, and if you require further assistance contact the IT Support Centre. Cards that support all of the IEEE802.11 A/G/N/AC standards (or a dual band 802.11AC card that supports 2.4 and 5GHz bands) are recommended as the 5GHz standard provides higher speeds and more non-interfering frequencies. All access points at the University support the AC standard and are dual band capable. Beware that a lot of 802.11N cards only support the 2.4GHz spectrum - look for terms like dual band or 802.11a or 801.11ac in the specifications. Don't enter sensitive information on web pages unless there is a padlock symbol shown(with the padlock locked). If you are using an non Groupwise email client like Outlook express it likely isn't encrypting your login. An alternative is to use the student webmail interface or staff webmail interface. The Groupwise email client does encrypt passwords and the data stream. The WS_FTP client does not encrypt your password or data. It is recommended that WinSCP (available from the downloads page) be used as it uses SSH to encrypt file transfers. This will allow you to securely transfer files between most Unix servers on campus and your PC. Sophos Antivirus software uses standard non-encrypted http to manually download updated virus signature files if you aren't logged into Novell on a managed machine. It is recommended that you login to Novell everytime you use the wireless network for this reason as the Novell login is encrypted. If you don't login to Novell, you may want to configure Sophos to not automatically check every hour and instead while connected to the wired network or an encrypted wireless network, regularly double click on the remote update icon in the systray to update your def files. See technical note 541 for details on configuring update options. You could also use Microsoft Security Essentials (built-in to Windows 8), available from the downloads page, on personal machines.